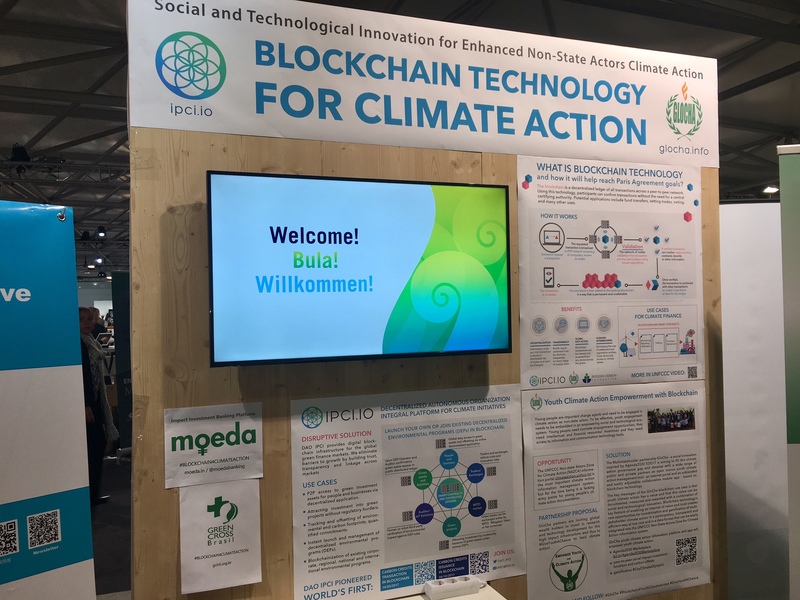 DAO IPCI and Blockchain Climate Institute largely present their vision and existing solutions at a series of events during COP24 in Katowice - the UN Climate Summit, the world’s largest discussion platform focused on environmental issues. There are 2 main questions we will answer. How does blockchain add value to the green future of the planet? Why is it the best tool to draw investment into climate-related projects? Please find below the program of events co-organized by DAO IPCI, BCI and Russian Carbon Fund, and other international partners. The video broadcasts of all events will be available via Skype Meeting Broadcast and scheduled in advance at the COP24 side events webcast page. DAO IPCI co-founder and CTO Sergey Lonshakov and Alexey Shadrin will showcase the 2018 use-cases and the guideline to launch a climate program to be able to issue and trade green financial instruments on DAO IPCI blockchain using Decentralized Application. The speakers, including our founder Anton Galenovich, will explain the advantages of blockchain for environmental finance and present the real-life use cases when blockchain technology is used to accelerate implementation of the Paris Agreement. The use cases in focus come from South Korea, Nigeria, Russia, France and the USA. The side event will be followed by a Q&A session. At the booth, you will be able to discuss broad aspects of blockchain implementation for climate issues in an informal manner and learn about 2018 use cases as well as plan your own blockchain implementation for 2019 and beyond. Regardless of origin, climate-related projects need good financing, and blockchain technology is ready to help, being more advantageous than traditional platforms in this field. Experts and innovators will shed light on this crucial, but still little-studied topic.This session will explore how the private sector, development finance institutions and policymakers can work together to deploy blockchain and emerging digital technologies to boost green finance flows, including carbon units and renewable energy certificates. And what interventions can create advantages for blockchain-supported green finance ecosystem. It’s important to educate men and women, adults and children on the climate change problem, the basics of circular economy and responsible behavior. During the event Alexey Shadrin of Russian Carbon Fund and DAO IPCI will present a use case for augmented reality in education - Ecopolis, the interactive educational kit on sustainable urban development. NB: Every guest and participant of COP24 will have an opportunity to offset the carbon footprint of their air flight to Katowice with the help of CO2 Calculator designed by DAO IPCI and Russian Carbon Fund.